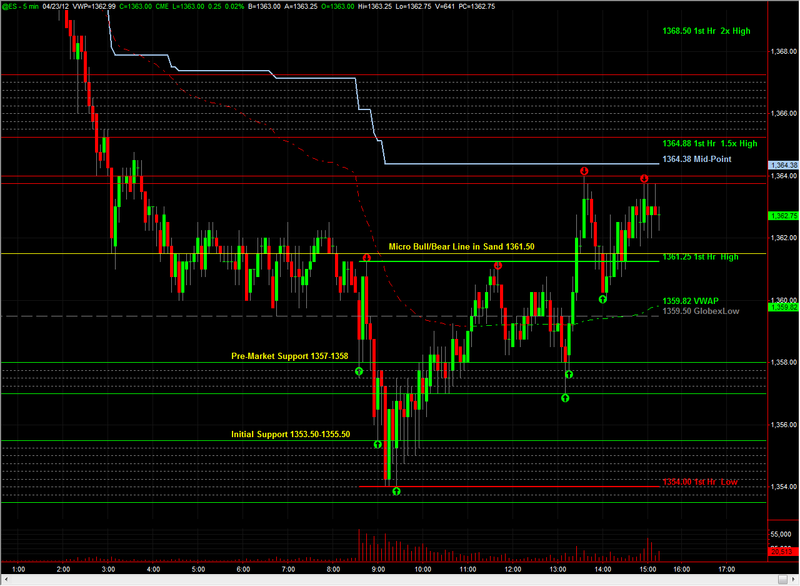 From today's EMiniPlayer.net Trade Plan: ES gapped lower overnight, and liquidated down to 1359.50. Heading into the day session, we'll be using 1361.50 as the Micro Bull/Bear Line in Sand to establish very short-term directional bias and the 1371-1373 Resistance Zone as the Bull/Bear Area to establish overall directional bias...We have Pre-Market Resistance at 1363.75-1364 followed by Initial Resistance at 1365.25-1367.25, those are areas for Sellers to step in again. 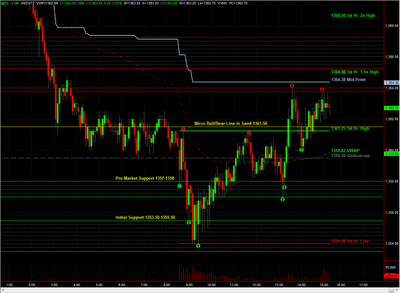 Our targets on the downside include the Open Gap at 1357 and the NVPOC at 1355.